With this jam the name gives it all away. 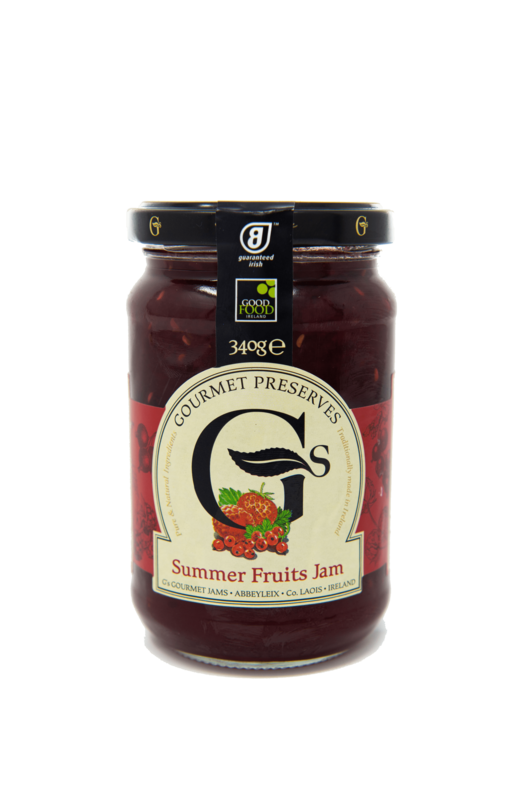 All of the bright flavours of the summer are captured in this mouth-watering jam. This Irish homemade Jam is 100% pure and natural containing no artificial preservatives, colourings or additives. It is gluten free and suitable for vegetarians. The perfect filling for homemade cakes & buns or tastes delicious served with freshly baked scones.